The Chinese posited two kinds of ch’i, the gross and the subtle. The body was the home of the grosser ch’i and the heart was the home of the subtle ch’i. To cultivate the heart means to cultivate our subtle ch’i. This would not only bear on our moral health, but our physical well being as well. 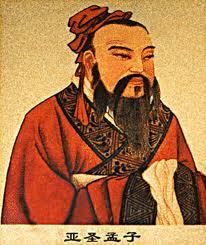 Mencius unified his concepts in a moral vision, where right living, as determined by heart, resulted in maximum ch’i. Health, wellbeing, and courage were related to living in harmony with the dictates of heart, which emerged from its connection to universal nature. When we have imperturbability, our motivation for action must be on rightness, and not dependent on outcome. 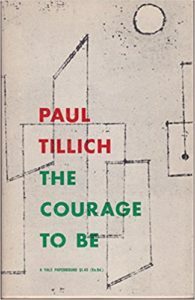 Tillich called this particular courage to live according to our hearts, or essential nature, the courage to be. He also saw the interpenetration of our actions with our quality. 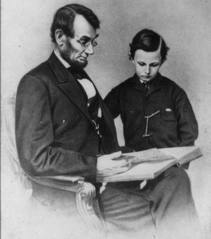 To cultivate ch’i, we must act with courage and to act with courage we must cultivate ch’i. It is this vitality which gives us the courage to be. We find this same correspondence between energetic spirit, courage and heart in the word courage itself, which is derived from the French word, coeur, or heart. Tillich states that to the extent we have this courage we are agentic, we have the freedom to act from intention. This is his definition of flood-like ch’i, or optimal vitality. This capacity for free choice and self-directed action is also definitive of heart, as it defines the human. As such, only humans are capable of this maximal energetic manifestation, which brings us into closer alignment with universal nature. Not only do we have the capacity to choose, or direct our actions, but we direct them toward that which we experience as meaningful. This meaning is what we experience to be the beautiful, the true, and the good. Our moral, dialectic, and symbolic capacities, which exemplify the heart, direct us toward that which we find meaningful in these ways. This Tillich defines as intentionality. When we follow the “taste of the heart” for the beautiful, good, and true, we are purely intentional. This courage, or imperturbability, corresponds to Plato’s notion of thymos, or the spirited, courageous aspect of our being. Plato’s thymos corresponds to the Mencian heart. 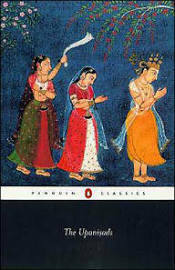 It is the central aspect that lies between thought and sensation, reason and desire. As the heart is drawn to rightness, the thymos is the part of the soul that aims toward the noble. The heart, in its function of vessel for our energetic being and courage, is also the home of our striving toward the noble. This is reflective of our promethean capacity to imagine an ideal. This faculty feels and knows justice in the core of our being, longs for the good, and wants to be our realized best. To aspire toward this ideal requires courage. This corresponds to the notion of fortitudio, which is the strength of the heart to be what it essentially is. Spinoza stated that to act in accordance with our true nature is the definition of the realization of our virtue. The extent of our virtue, he says, is the limit to which we strive to live from the heart. 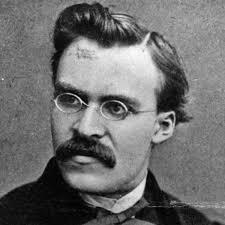 Nietzsche also links imperturbability with heart. To inhabit the heart, to be our true selves, poses risks. We may be hurt, rejected, or ignored. For some of the most enlightened, from Socrates to Martin Luther King, living from the truth put their very lives in peril. When we inhabit the heart, or are our true selves, we may also be at risk of our very lives. The courage of the heart acts from its authentic center in the face of death. However, the danger of not living from our truth is far worse. The heart will vitiate if we act against our own intrinsic sense of the right out of fear of consequence. Socrates, a contemporary of Confucius, manifested this philosopher’s courage. He was able to do so because he believed that what was essential about him, what Mencius would call the heart, was not endangered by death. He believed this original self was transtemporal. Therefore, he was able to face his own execution with imperturbability. Socrates, in this sense, is a yantric symbolic model for contemplation. He is an exemplar of how to be. In this, he is a brother of Confucius. They shared other qualities, as well. These words about Confucius could have also well been written about his Greek counterpart: “There were four things from which the Master was entirely free. He had no foregone conclusions, no arbitrary predeterminations, no obstinacy, and no egoism.” This is a great description of core psychological health. The means of becoming the virtuous person is to make one’s self right. This means to live in harmony with the Heavenly Mandate or to live in absolute integrity to one’s essential nature, the heart. This is the true path to courage, because fear derives from something inward, not external. This lack of fear, or courage, then, is the mark of the virtuous person. 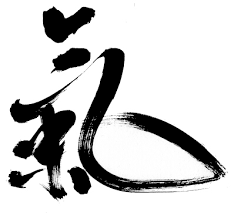 For Mencius, when we are in possession of flood-like ch’i, and we face the risks of living according to the inner light of the heart, we remain imperturbable; no danger sways us from bravely being what it is that we are uniquely meant to be. Mencius was a model for this cultivation of imperturbability. He said, “My heart has not been stirred since the age of 40.” This means that, though it took him decades of self-cultivation to accomplish, he did reach a point where he had the fortitude to remain true to himself in the face of any danger or risk. The heart, then, when found, is agentic and autonomous. When we embody the heart our actions emerge from the core of our being and are not determined by external considerations or conditionings.